This is the second webinar of a webinar series on how domestic violence programs can enhance their work with survivors of domestic violence and their children by using evidence-based and promising practices. For the webinar series flyer, click here. Description: This webinar will explore two areas of program development. First, presenters will present guidelines for consideration to improve the services to and success of the major complexities involved in developing and utilizing outcomes measures for DV programs’ work with children. Two new resources will be shared –1. 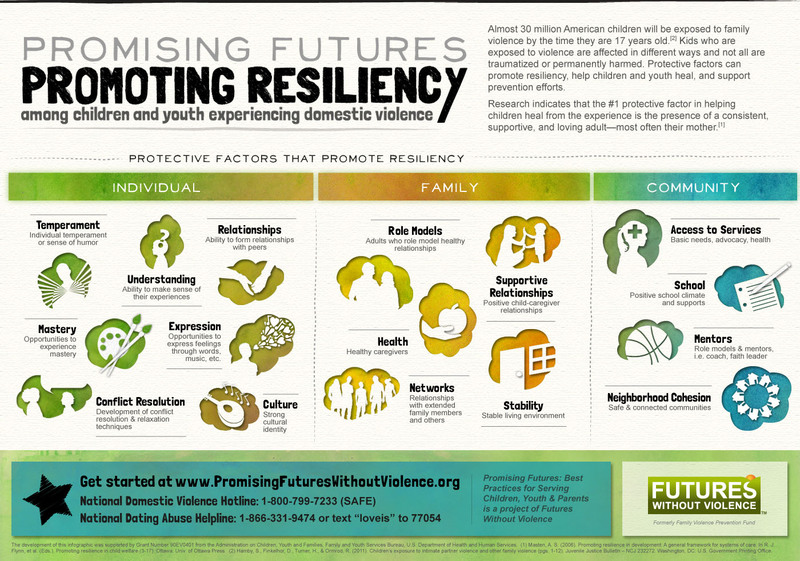 Building Promising Futures: Guidelines for Enhancing Response of DV Programs to Children & Youth 2. Developing Outcome Measures for DV Programs’ Work with Children & Youth. Describe basic principles underlying building programs for children & youth. Understand the elements of the process of program development. Understand issues involved in developing outcomes measures for children and youth.